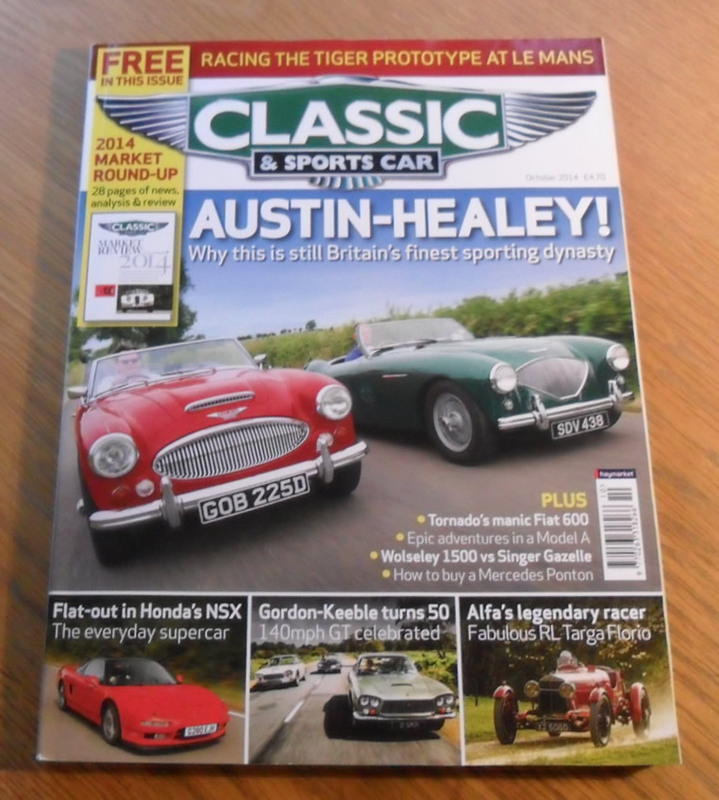 October 2014 of the British Magazine, Classic and Sports Car. 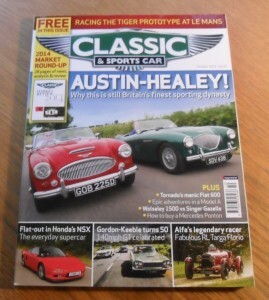 The cover feature of this issue is the Austin-Healey. Other articles include items on the Gordon-Keeble, Honda NSX, Wolseley 1500, Singer Gazelle and many more.